The Bretton Woods Race Team is an Alpine racing club competing in NHARA and USSA sanctioned events. Our program runs every weekend and during school vacations starting November 24, 2018. The program continues through March 17, 2019 and features team gatherings, awards, and camaraderie both on and off the slopes. Not just about the competition, in this program your child will develop strong, fundamental skills in a fun and safe environment. The BWRT is also a great program for children who have completed all ski school programs and are ready to take their skiing to the next level. 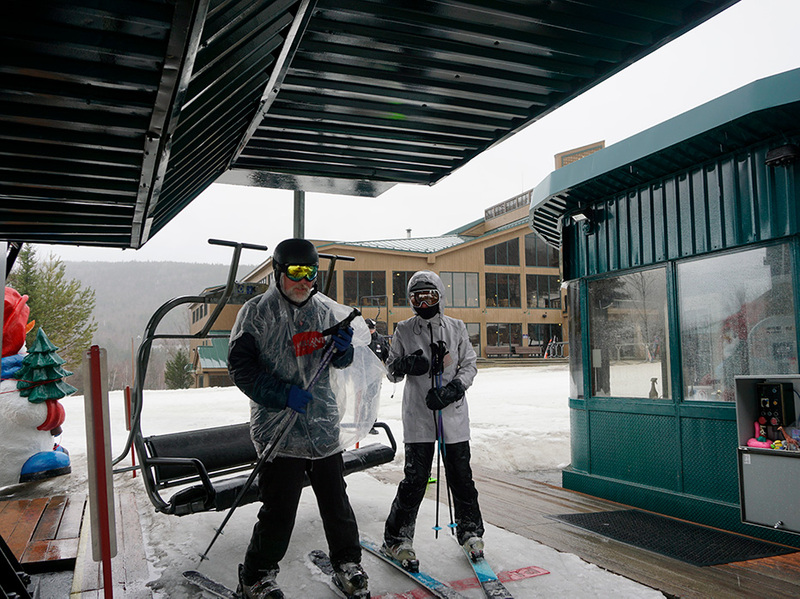 Five levels provide ample learning experiences for all skier types age 6 to 18! The Bretton Woods Team Inferno Program is for young skiers who want to improve their skiing by experiencing diverse conditions and terrain under the guidance of coaches. The skiers will master the steeps and powder deeps, they will learn to jump and be comfortable in the air, ski the glades and glide on Nordic skis and snow tubes. These skiers will learn to carve and join the race team in fun courses as well as enjoy free skiing around the mountain. They are under the Competition Center Umbrella and will participate in Bretton Woods Competition Center social events. Bretton Woods is excited to offer Competition Center Programs for the 2018/19 winter season. These programs will introduce, develop and train aspiring racers. Additional season-long programs for juniors, including the Freestyle and Development Teams, are available as part of the Bretton Woods Ski and Snowboard School. For more information or to register for any of these junior programs please contact (603) 278-3320 or submit an online request for more information. Skiers ages 6-7 can enjoy our energetic and caring coaches with emphasis on fun. While teaching ski fundamentals, kids are actively learning and exploring the mountain while learning the safety rules and how to become more independent from mom and dad. They meet in the same place as the older athletes and get dropped off for lunch with their parents. This program introduces children and parents to the world of racing and will focus on developing good skiing skills in a fun and safe environment. Our passionate coaches will lead the free skiing drills with a focus on ski fundamentals. We strongly believe that better skiers become better racers, following the philosophy of the US SKI Team. Athletes need to master skiing on all kinds of terrain and conditions before adding the tactics of running gates. Therefore, the children in this program will be free skiing a lot. However, they will be introduced to short gates and get a taste of running slalom and giant slalom during the length of the season. Our 8 and 9 year olds will occasionally traveling to other mountains for USSA races and skills camps supported by the USSA organization. This program will continue to follow the progression still focusing on skill fundamentals, playing and skiing on different terrain. Stance, balance, turn shape and carving the ski edge to edge will be some of the goals for this age group. The concept of a proper line is taught while running Slalom and GS courses and starting to build awareness of trying to maintain the proper technique while applying tactics into a course. Following the USSA guidelines we will be using brushes, short gates and build to regular course set on mostly mild terrain. These athletes will be participating in USSA/NHARA open and qualifier races recommended by our experienced coaching staff. The 12 and 13 year olds are the age group in this program. It is important to keep working on their fundamental skills, best achieved in free skiing. A healthy mix of free skiing drills, in order to build and maintain good ski habits and gates are in focus. Through strong coaching leadership, a tiered platform will address new racers to the group. Traveling to other mountains will be encouraged but optional. This group will be racing in USSA open races as well as participating in "NHARA qualifiers". The coaches are fun and knowledgeable which makes it for a great learning experience. Using a journal is encouraged which helps athlete's awareness and ski with purpose. Seasoned racers in this age group will continue to focus on high energy training, race skills, energetic free skiing and reaching personal goals. There will be participants that may be new to racing in this age group, still, and our dedicated coaches will be working with each individual on his/her specific needs to each athlete will be able to reach their personal potential. The athletes in this group will be training at Bretton Woods and traveling to USSA and NHARA competitions at other mountains supported by our coaches. While still working on basic technical skills, we are also offering opportunities to experience Super G training and racing. The Bretton Woods Edge 2 Edge Racers Club is just like our weekend-long Alpine racing club except now you can choose between Saturday and Sunday! Your teen will still be able to compete in NHARA and USSA sanctioned events and they can still come every day during vacation and holiday periods. All the great benefits are included with only half the commitment. There are even convenient drop in rates if they are able to make any of the full weekends. No strings attached! All programs will run daily during Christmas vacation (Dec. 27, 2018 - Jan. 1, 2019), MLK (Jan. 21, 2019) and Winter Vacation (Feb. 18-22, Feb. 25 - March 1, 2019). Equipment Requirements: All athletes are required to wear a helmet (no soft ears). U12 and older racers must have an FIS approved helmet. Recommended equipment U12 and older: GS skis, SL skis, SL protection gear, GS suit. All athletes must have USSA and NHARA membership if they are racing.